I am here today to talk all about creating independence within your special education classroom! Independence is the NUMBER ONE thing we are ALWAYS working on in our classroom! 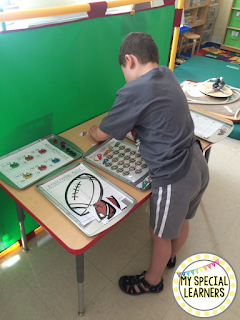 It is SO important that our students start learning how to work and complete tasks independently from an early age. As they get older, this skill will be key in real life situations and the work place. There are countless ways you can promote and establish independence within your classroom, but here are just a couple big ways I promote it daily! It is no secret in my classroom that I LOVE file folders. They are easy to make, easy to store, and the possibilities are endless. 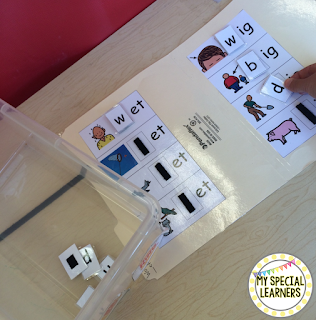 You can use them to help teach a skill, or you can use them after a skill has been mastered to promote independence. In my classroom, I have two independent work stations FILLED with file folder tasks. 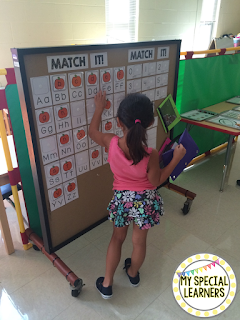 There are counting, ABCs, sight word match, patterns, color sorts...the list goes on. 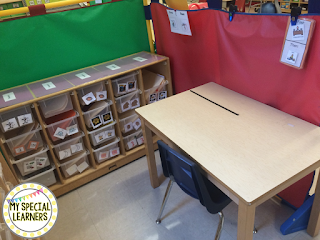 Each work station has an assortment of levels to fit all of my students different needs. 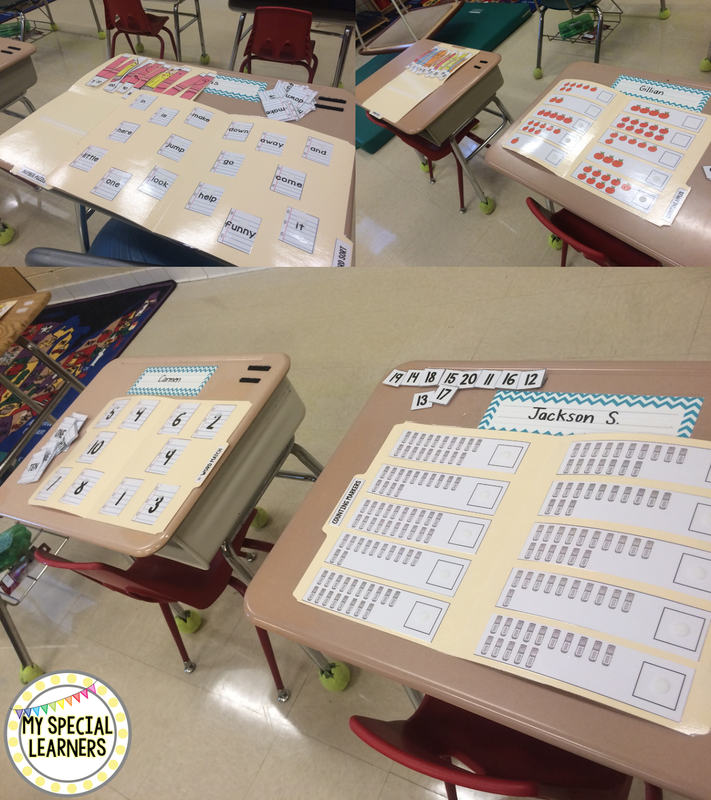 When a student works in the independent work area, they are typically given 4 tasks to do. This number varies depending on the student, however this is the number we like to get to in my classroom. If a student is just starting out in my classroom and has trouble working independently for any amount of time, we will start with just 1 bin and then slowly increase over time! 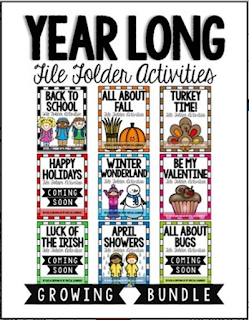 We all have those students that work QUICKLY and need something to keep their little hands busy. Bonus to early finisher activities? They do them independently! Here are some of my favorite activities that we are using right now! This interactive bulletin board is from Melissa over at Autism Adventures of Room 83. Such a great way to keep my kiddos busy, engaged, and working independent! We are also LOVING these adorable cookie tray tasks from Erin from Creating and Teaching! I love that there is a variety of activities to switch out every week and fit each student's needs! Another GREAT way to establish independence! 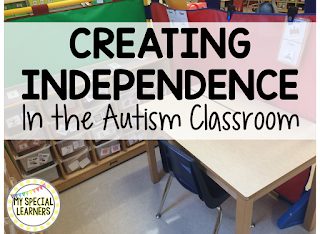 There are SO many other ways that we can help our students become more independent throughout the school day. 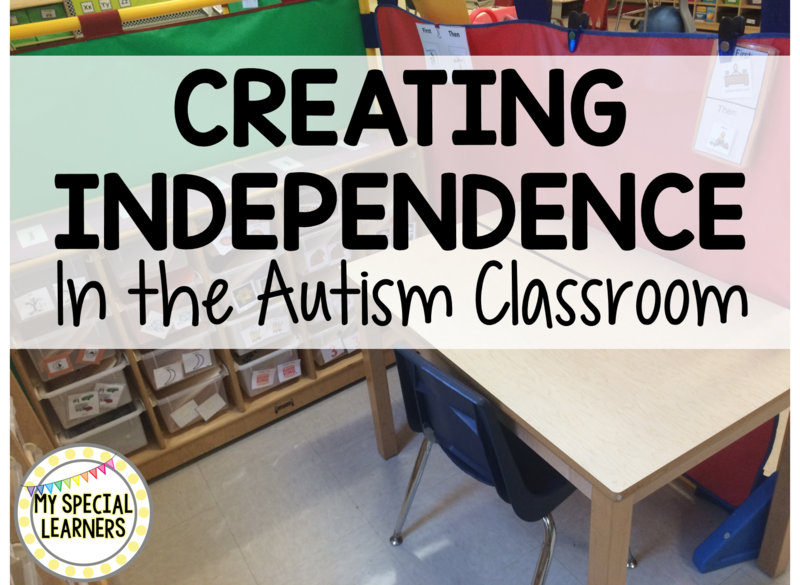 What are some of the ways you promote independence in your classroom?